The Monitor is a sprawling album, one of the most dense things I’ve ever listened to. It is orchestral, droning, historical, and anthemic. 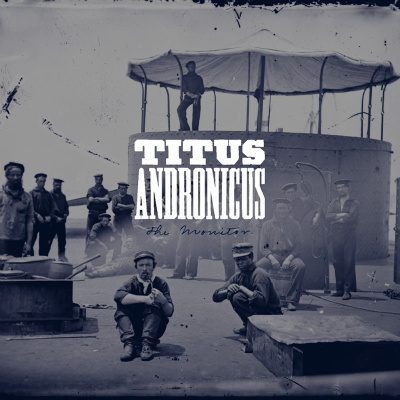 If Titus Andronicus never produced another album, I’m sure that people would be talking about this album for years (much as still people still talk about In an Aeroplane Over the Sea by Neutral Milk Hotel.) Titus Andronicus did not stop there, though. In fact, what drew me to this album was their most recent work, a rock opera called The Most Lamentable Tragedy. TMLT is so vast it is hard to comprehend, taking up 122 minutes across 4 LPs. When I wanted to listen to that album, I found myself lacking a place to start. It was very referential, and many of its better songs aren’t fully appreciated without listening to their forebears. Instead of starting with this huge piece of work, I decided to explore their back catalog. In the process of doing so, I discovered The Monitor. The Monitor was a critically aclaimed album released in 2010, and it creates parallels between a break up, mental illness, New Jeresy and the American Civil War. If that sounds like a lofty goal, that is because it is. I will be totally honest here and admit that I had heard several of the songs on this album before. I had even seen the band live in 2014, at the request of a long time friend. Back then I found their music a cacophony, the only really enjoyable parts being the refrains that were easy to sing along with. It was this initial dislike that kept me away from The Monitor at first. But as reviews came in for the Most Lamentable Tragedy, some going so far as to call it the album of the year, I decided to give The Monitor another listen. To my delight, I found sounds and music that I had entirely missed before. Whereas I had only really liked the first song, A More Perfect Union, I realized that other songs captured ideas and emotions that rung true with me. My personal favorite is now Four Score and Seven, which uses horns to augment the melody. I will be listening to this album for a long time, and it has become my go to thing to listen to when I want to be distracted by the music. I always thought I would outgrow my crass humor stage. Throughout high school, I found myself laughing at awful jokes at the expense of people, and the fact that they appealed to me so much was something that I felt was a personal flaw. As the years went on, however, I began to realize that much of life is hard if you don’t take the time to laugh at it. It was hard for me to miss Rick and Morty in its initial run, but somehow I did that entirely. Rick and Morty is a show that was seeded as an idea of a parody of Back to the Future, where an old drunk scientist interacts with his young and impressionable neighbor. For somewhat obvious reasons, though, they couldn’t use that exact idea, nor the intended names (Doc and Marty). Instead they morphed the show slightly, making Morty a little younger than Marty, and creating a grandfather-grandson relationship between them. They did not, however, remove any of the foul bits. Rick and Morty is as touching as it is vulgar, though, with moments of sweetness followed by haunting depravity. (For example, the first episode ends with Morty demonstrating knowledge that his grandfather taught him, placating his parents. 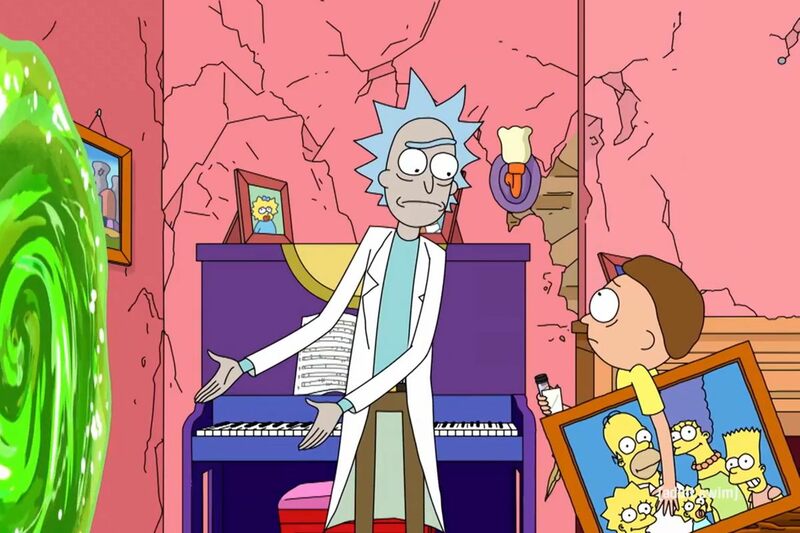 Shortly thereafter though Rick breaks it to him that he is really just high on a particular drug, and he has no intellect at all). Most funny shows you watch once and laugh at the jokes. The best shows keep you thinking about their jokes. Rick and Morty one ups the formula, and uses methodical violations of every ideal you hold to make you laugh. It hurts to laugh at Rick and Morty because of the truth it holds, but it also feels great to let all of the pent up emotions about the sad state of the world out. Not only does Rick and Morty do comedy well, it is also one of the most entertaining Sci-fi series on TV today. It takes many classic tropes, including an inception like dream sequence and a oddly familiar body shrinking and organ exploring episode, and plays them off in comedic ways. It feels like Mystery Science Theater 3000 of old, only instead of robots offering us rifftrax the jokes are actually built in to the show. Rick and Morty certainly is not for everyone, but it offers me the funniest and most poignant show on any TV channel. Fantasy gets a bad rap amongst the general population. When I talk about liking fantasy, most people think of fat nerds rattling on about elves and swords and sorcery. 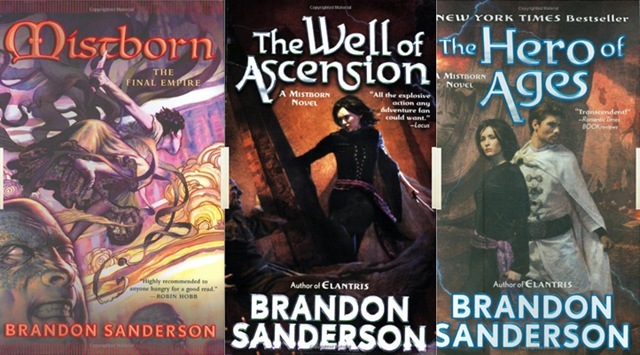 Mistborn does a good job of subverting those notions while still offering the escapist quality that made Fantasy so popular in the first place. While I may be a bit of a fat nerd myself, I don’t spend my time thinking about Tolkienesque sequences. Instead I wonder about deeply logical magic and heist stories, thinking about entire cosmologies. Mistborn is a story about a world where the evil emperor won. The hordes that he used ot conquer the world now act as shackles for the entire world, holding them under his grasp. He has raised up a world with two distinct classes full of normalities that will be familiar to us all – the need to eat, and the strain of a hard day’s work. The magic used in these stories is not arcane or incomprehensible, In fact, it plays an important role in both society and the economy. The story also plays with religion, going so far as to feature a character who chronicles past religions and seeks to keep their memories. There was something refreshing about this book the first time I read it. Instead of having a damsel in distress, the main character is a quick witted woman who is strong and confident. It also puts a clever twist on the savior story, creating someone who has obvious flaws and yet can still act as a leader. It is not to say that the trilogy does not have its flaws. I found certain character traits to be insufferable – especially when the main female character, who I thought was so good for not being a traditionally feminine character, gains an affectation for pretty dresses and balls. However, the weak points are far outweighed by the strong, and I find myself continually coming back to works by this author. It all started with Akira. I have always been interested in anime, for as long as I can remember, and one of my favorite pieces of anime is the film about motorcycle gangs in post-apocalyptic Tokyo. One night, in a spurious session of “Where will Wikipedia take me”, I found myself on the article about Bōsōzoku, or Japanese youth motorcycle gangs. Following that, I found a link that looked familiar: “Godspeed! You Black Emperor”. It was a documentary about a particular of these types of gangs, following them around and documenting their interactions with their parents and each other. It was an obscure film, but apparently well known enough to gain followers. Incidentally, a post-rock band from Canada named themselves after it, which is where I recognized the name. Interested in their music, I gave a quick search to find what most people regarded as their best album, Raise Your Skinny Fists. When I turned it on, it struck me as something very ambient. I found myself enjoying the almost orchestral sound, while at the same time satisfying my sometimes insatiable desire for distorted guitars and catchy drum beats. Listening to it, I knew that I had found something that I was going to enjoy for a long time. My real appreciation of the album came only during November. Every year during November, I do my best to write a novel as a part of what is known as “National Novel Writing Month”, or NaNoWriMo. This year I knew I would need a proper soundtrack to write to, and this album served as the perfect candidate. I must have listened to it two dozen times during that month, each time hearing a new layer or facet that intrigued me. I went so far as to promise myself that if I finished NaNoWriMo (which I had never done before) I would buy the album on vinyl. I did manage to finish, and now I sit here waiting eagerly for the album to be delivered to my door. 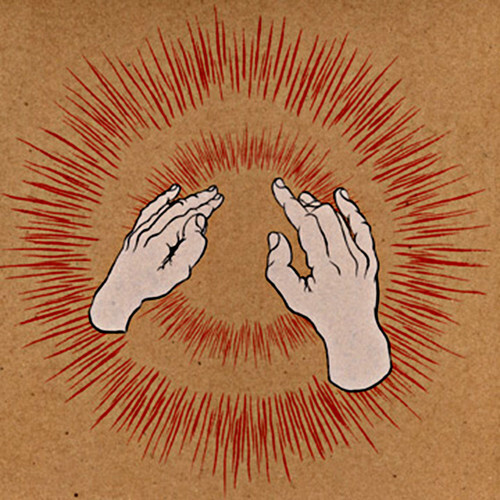 Raise Your Skinny Fists is an easy album to get into from many different angles. It comes across as a cross between an elaborate orchestral suite, an experimental modern masterpiece, and a movie soundtrack. The first song in particular lends itself to new listeners, despite its intimidating 22 and a half minute running time. For those that choose to stick through, though, they will find themselves deep in a wide array of sounds. The premise is simple: Take a washed up actor who used to star in a family friendly sitcom and give him addictions and vices. However, instead of setting this in a normal reality, set it in an alternate reality where anthropomorphized animals live and walk and participate in the same debauchery that human stars are famous for. 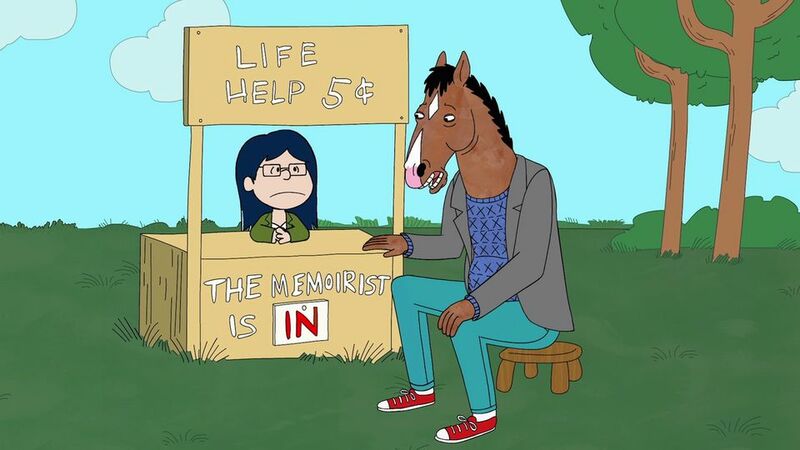 Bojack Horseman takes a premise that has nothing to do with being human and draws deep humanity out of it. I was turned off, initially, because I didn’t think that the story could be interesting. I was wrong. Bojack Horseman is a story about addiction and facing your flaws. I found the story to be compelling partially because of the parallels it was able to draw with real life. Burnouts and deadbeats are a common sight in Hollywood today, and Bojack offers a look into why they became who they are. It does this through a wide array of characters, from the perpetually upbeat and annoying Mr Peanutbutter, to the man child Todd, to the overbearing but well intentioned agent Princess Carolyn. Each character in this show feels fleshed out and real, not just the joke that sparked their creation. The show managed to balance out these real characters with real issues by putting them in absurd situations. Whether it be Improv Comedy as a cult, or The renaming of Hollywood to Hollywoo because someone steals the D from the sign, the show does an excellent job of being a farce while still retaining believability. Patrick is an associate software engineer who listens to ska and rides motorcycles.